Patriotic - Sending you a little prayer . . .
- that God will keep you in his care. I used Navy Blue Crinkle Ribbon and my hand dyed Vintage Cherry Bakers Twine. The paper is Crate Paper (red, tan scallop), My Little Shoebox (brown polka dot), and Bazzill (Solid blue). The stamped sentiment is from the Inside & Out #2 Stamp Set. The button is from Fancy Pants Designs. It's time for another Monday Challenge! 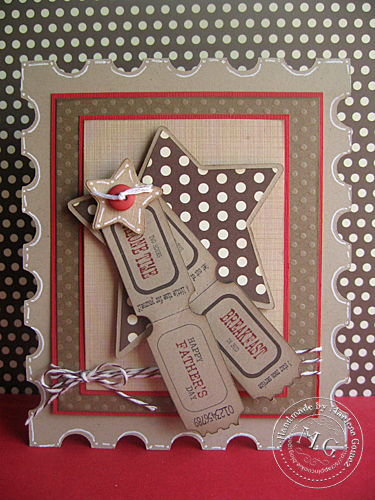 This weeks Challenge: Seeing Stars! Don't you just love all of the fun little bows, balls and curly goodness Marlene added?!?! 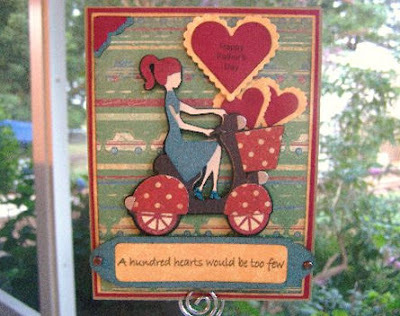 I love the vintage twine on Amber's cute banner and her little one is an absolute doll!! 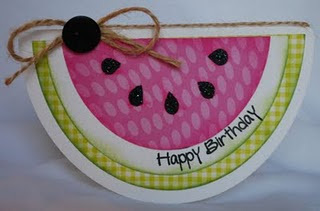 I absolutely love the fun shape of Kate's card and all of the great patterned paper she chose! 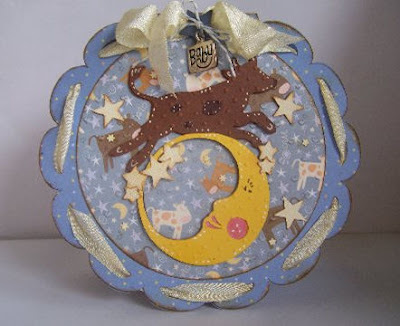 Don't you just love the cute 'Cow Jumps over the moon' nursery rhyme theme?!?! The June/July issue of the fabulous Cricut magazine! 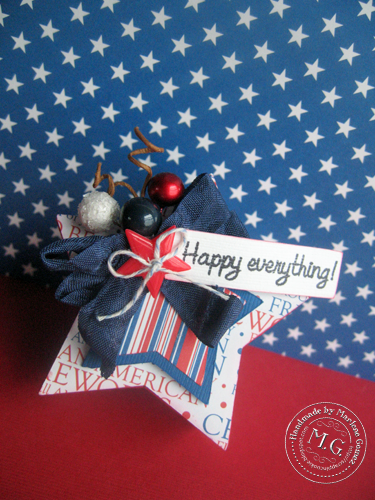 I had so much fun looking at all of your sweet projects last week - thanks for joining the fun! Be sure to grab your challenge winner button on the left side bar and email me with your address so I can mail your prize (bakers twine from the twinery)! I am happy to announce a new addition to the My Craft Spot Design Team! You may remember Marlene from a spotlight I did on her at the beginning of the month. Click HERE to check it out if you missed it! Be sure to check out her awesome blog! 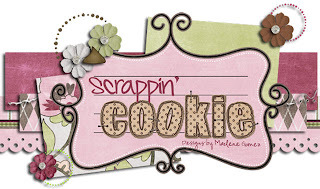 Be sure to head on over to Marlene's blog to see more of her great projects! Click HERE for this weeks SWEET Monday Challenge! I love summer! 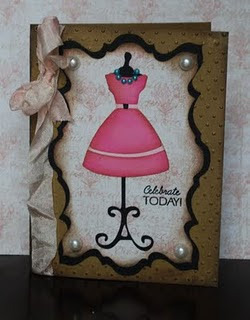 Here is a fun, Sun-Shiny card I made for DT day at Celebrate the Occasion. 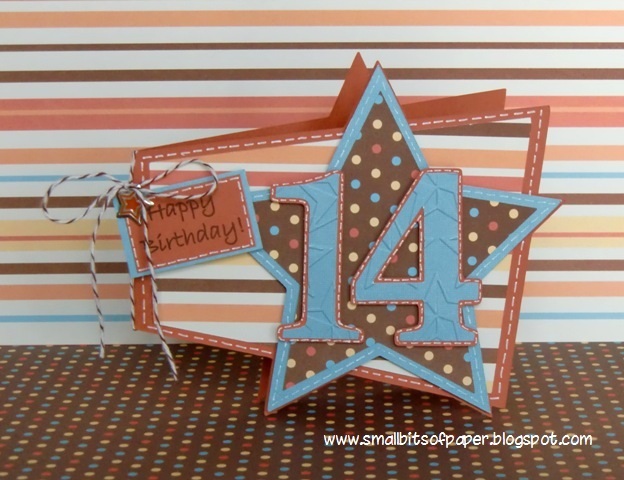 The card base, cut at 5 inches, is from the Birthday Bash cartridge. The sun was cut at 10.47 inches from the Wild Card cartridge and the blue circle is 3.55 inches real dial size. I used Lemon Drop Bakers Twine and the stamped sentiment is from Sweet Sentiments #2. 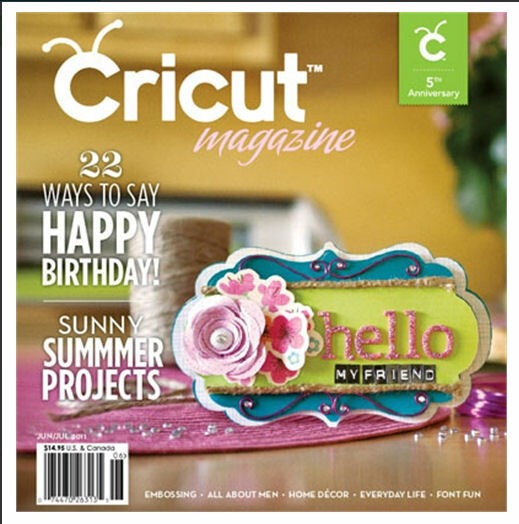 Getting Cricky - Face it! Anything Goes - Here comes the Sun! Have a happy sun-shiny day! Monday Challenge #13 - How Sweet it is! 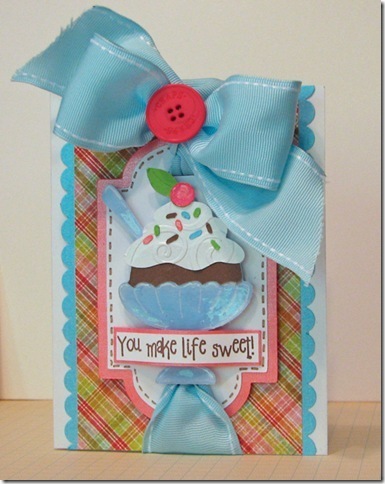 This weeks Challenge: How Sweet it is! 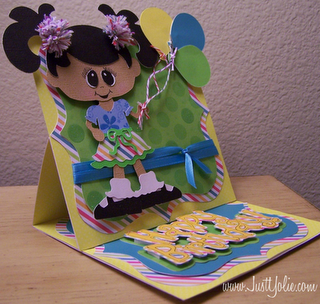 Don't you just love the big bow and all of the fun details Amy added to her card? I love Jenny's sweet banner - and the caramel apples look good enough to eat! 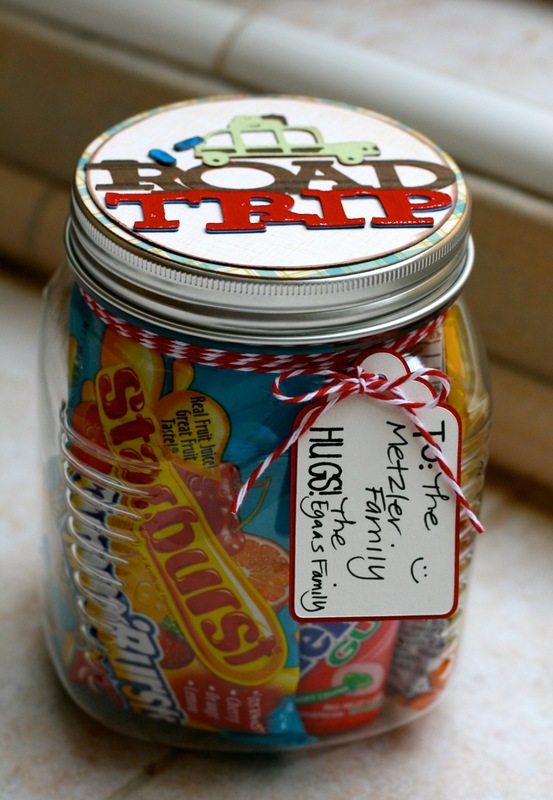 Ally made this cute treat jar for her neighbor kids to take on their road trip. How fun is that!?!?! Sweet colors from the twinery! Click HERE to see all of the fun colors of Bakers Twine at My Craft Spot! 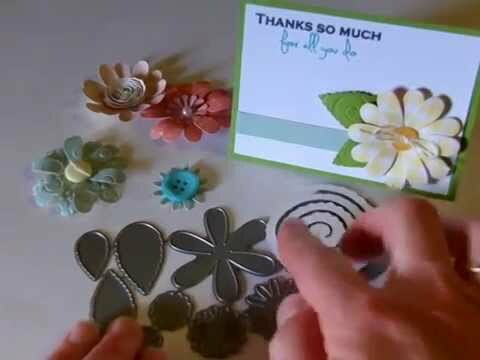 I had so much fun looking at all of last weeks projects - thanks for joining the fun! Congratulations # 7 - Tella! 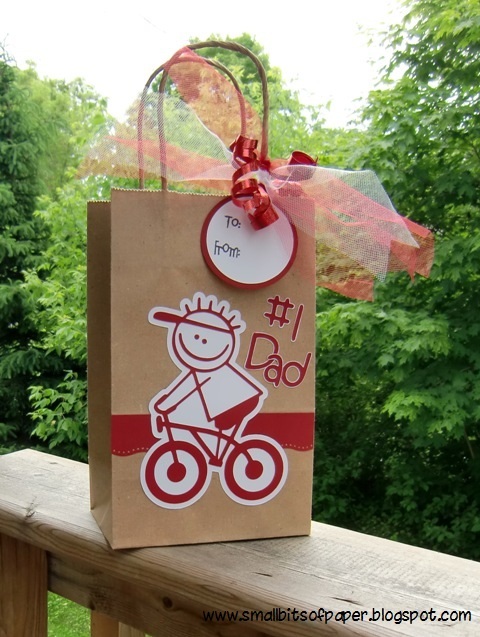 A very Happy Father's Day to all of the wonderful men in our lives! Click HERE for this weeks Monday Challenge! I used Honey Dew, Caribbean, and Blossom Bakers Twine. The patterned paper is from Making Memories and Pebbles Inc.
Scroll down for a video showing how I made these sweet bakers twine candies! I used dimensional squares to give the candies a little lift. 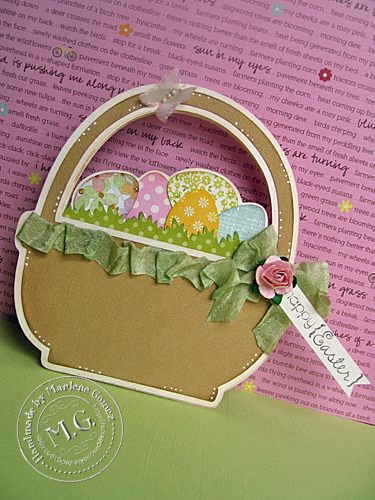 The stamped sentiment is from Sweet Sentiments #2. 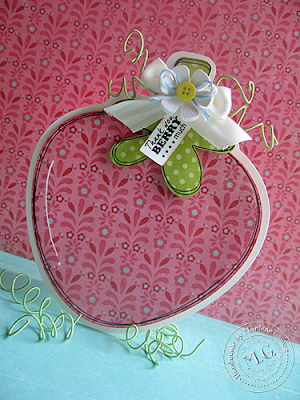 I cut the circles for the candies from the George cartridge (1 inch - real dial size), the square stamp frames are from Gypsy Wanderings (Shift-tag, button #45 cut at 1.35 inches) I used my paper cutter to cut colored squares for the inside. Here is a video showing how to make these fun bakers twine candies! 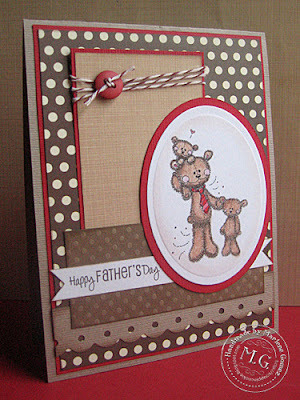 Monday Challenge #12 - We love you, Dad! This weeks Challenge: We love you, Dad! This is such a sweet layout! 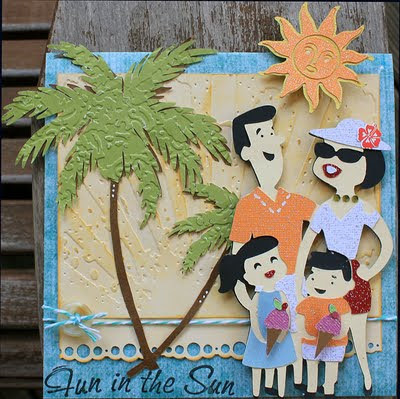 Preserving these special moments are what scrapbooking is all about! Don't you just love the beautiful butterfly on Jenny's pretty card? What a fun gift bag! 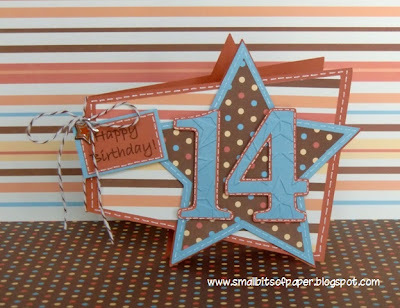 Don't you just love all of the pretty patterned paper Joy used? 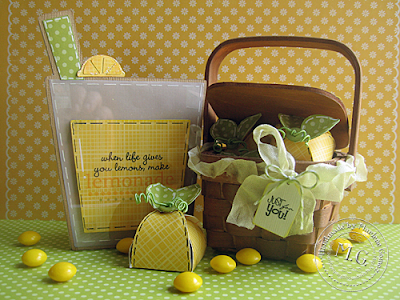 Your choice of one of the new crinkle ribbon sets! Click HERE to see all of the new sets! Congratulations # 24 - Sandi S! Be sure to grab your challenge winner button on the left side bar and email me with your address and 3 favorite ribbon colors so I can mail your prize! Monday Challenge # 11 = Tie it On!